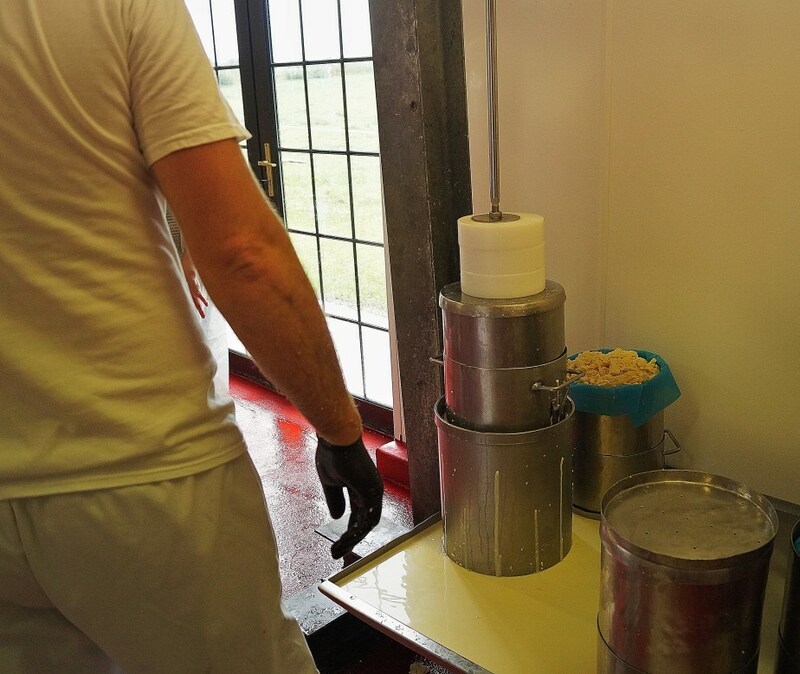 At Derg Farmhouse Cheese we produce speciality Cheddar Cheese using raw milk from our own herd of cows. 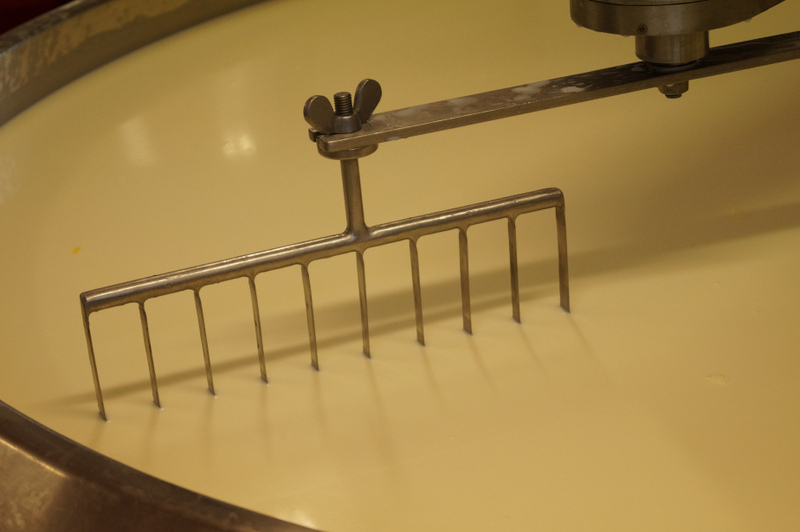 We carefully manufacture cheese that is gently aged to produce our distinctive flavours. Our attention to detail guarantees our customers a superior taste experience. Winning Bronze for Best New Cheese at CAIS and Melton Mowbray Cheese Awards. 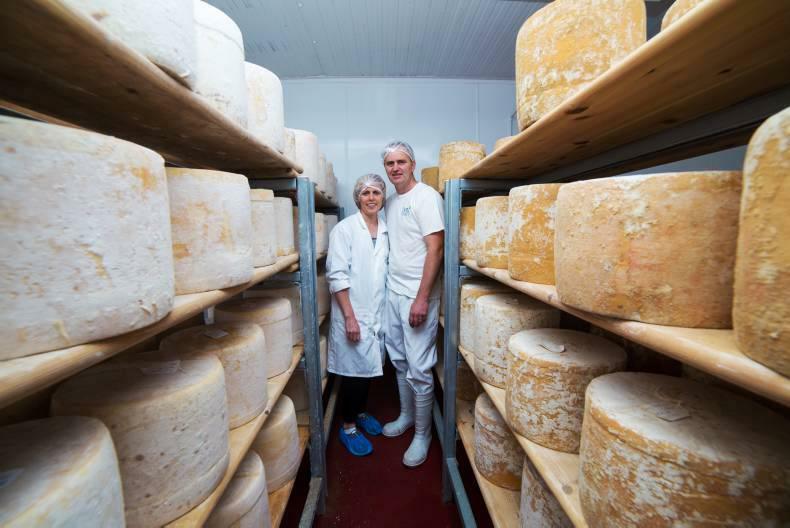 Derg Farmhouse Cheese, owned by Paddy and Kay Cooney is located in the townland of Garranmore a few miles outside Nenagh. 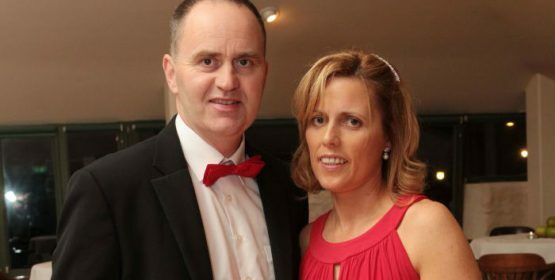 The Cooney family have been farming in the area for generations. 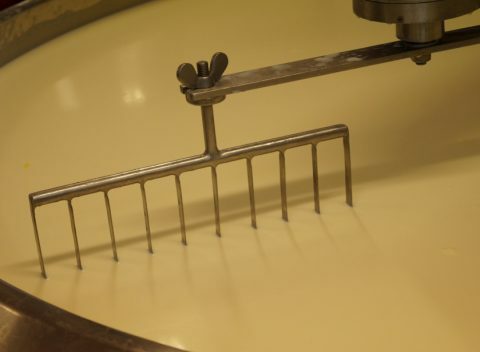 They make raw milk cheddar cheese from their own herd of friesian / jersey cows. 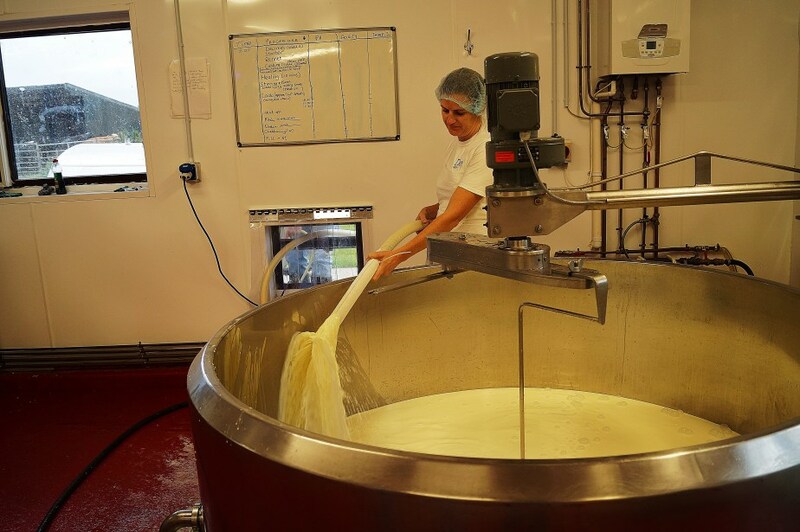 It is only made in Summer months from milk that has been produced off grass. 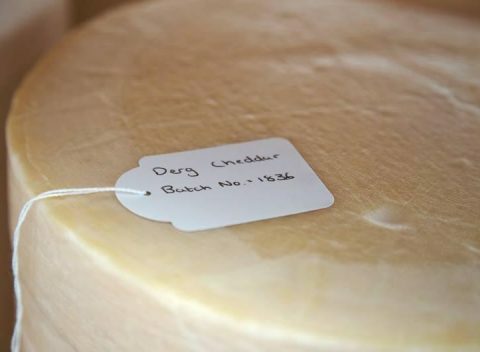 Cheesemaking demands a high quality milk to produce a top quality cheese, Derg Cheddar is produced from top quality raw milk from Paddy and Kay’s herd. 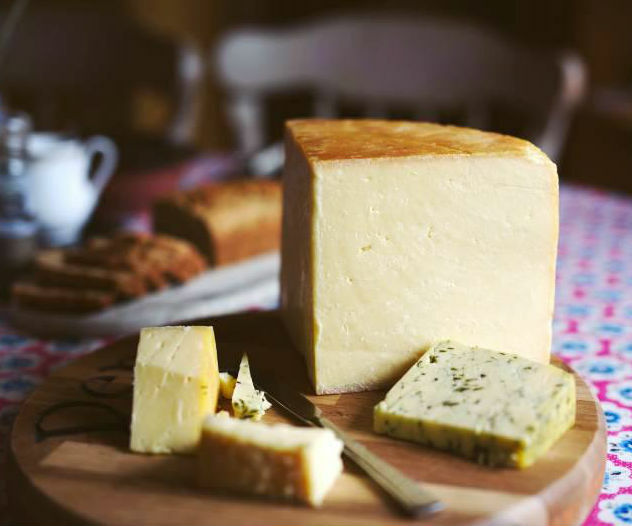 Derg Cheddar is gently made using traditional farmhouse methods and it is left to mature for 9-12 months to give it its distinctive flavour. 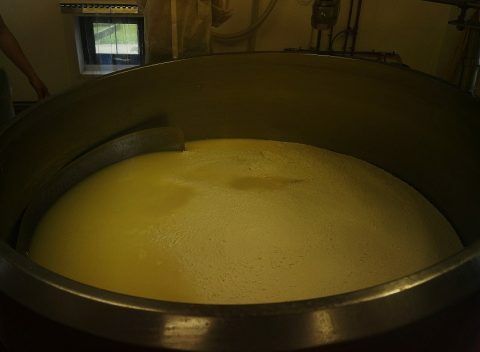 Making whey while the sun shines! 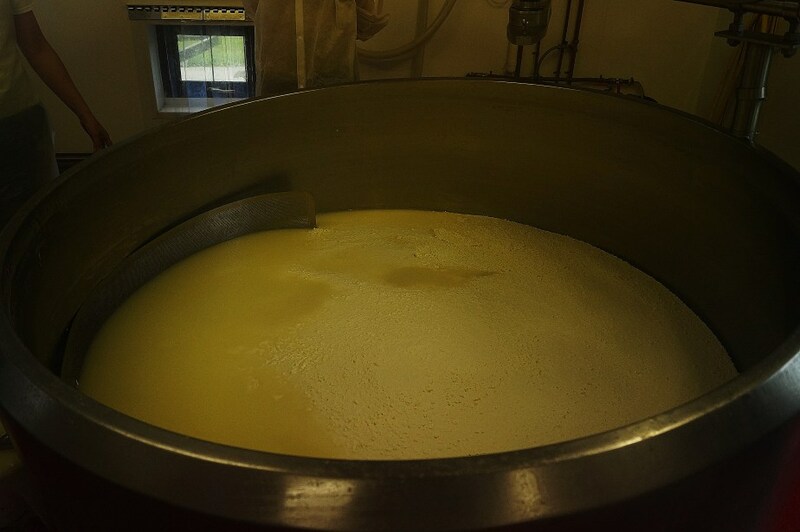 Finished Cheese round, ready to mature in storage. Beautiful finished product! 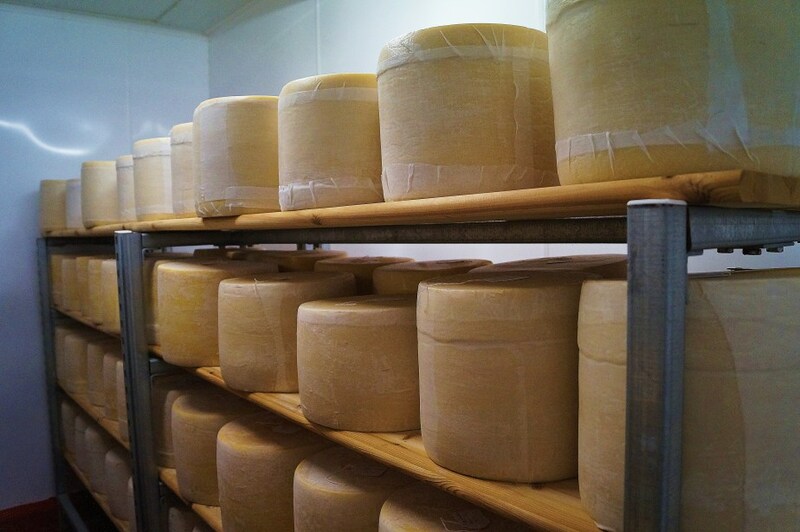 Rounds of matured cheese in storage, ready for wrapping and distribution. 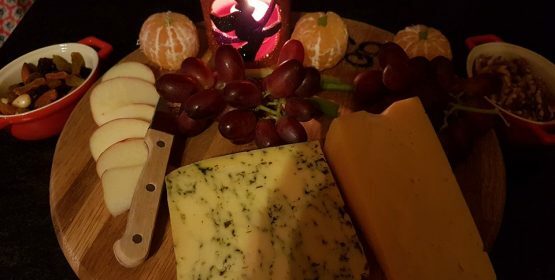 Tasty artisan cheese ready to eat! 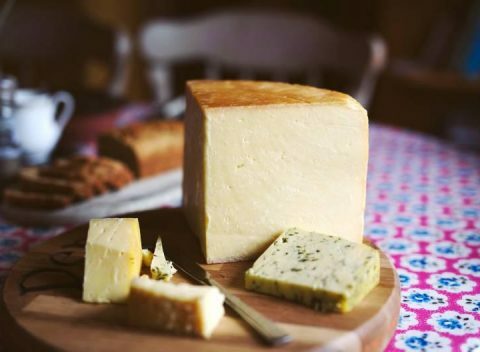 The first taste of this artisan fresh milk cheese is packed with the scents of mushrooms, busy with the heat of mustard, alive with the sweetness of unprocessed milk, and freighted with a long, fudge-filled finish that seems to go on forever, a true torrent of tastes. 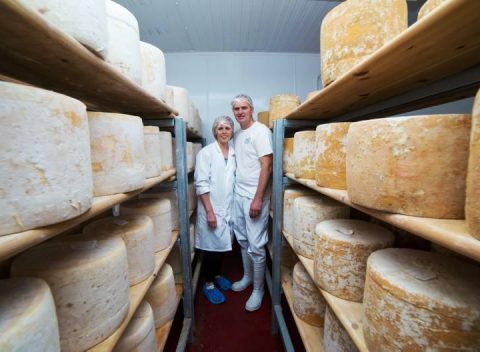 To achieve this level of expertise with fresh milk cheesemaking is no small matter, and explains why Paddy and Kay went home with a medal having impressed the judges at the 2015 Irish Cheese Awards. 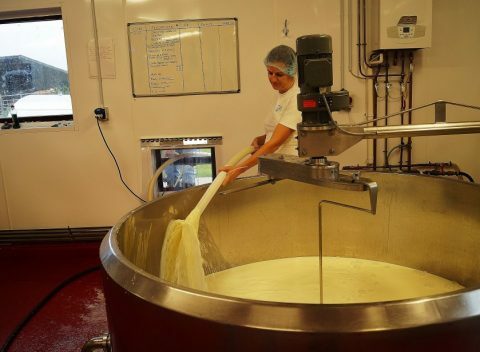 But it is an extraordinary achievement to be able to produce such a complex and a complete artisan cheese with only a few years cheesemaking under their belt. 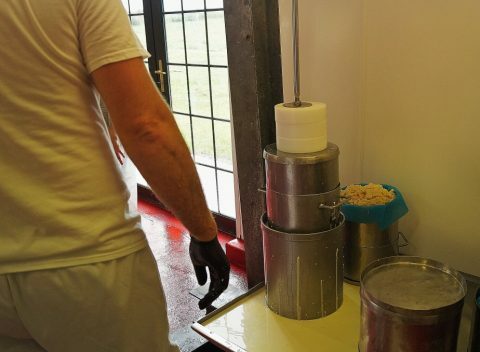 Maybe its the fact that their happy cows graze while gazing out over the waters of Lough Derg that make Derg Cheddar so special, but here is a totem amongst the new generation of Irish farmhouse cheesemakers. 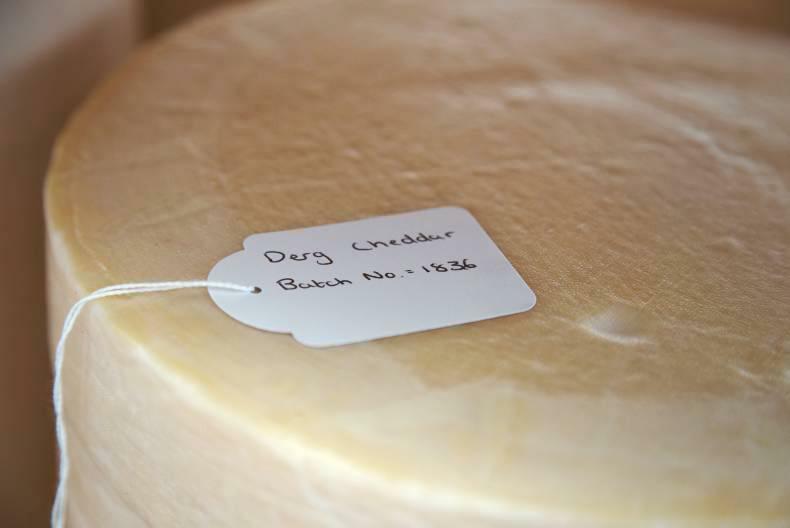 rich tangy flavour and firm texture of the mature cheese. 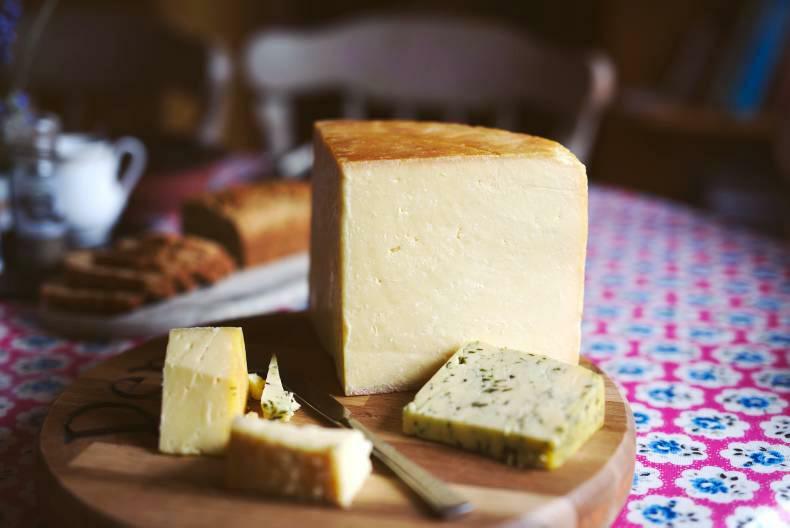 Signifcantly, it also impressed the judges at the 2015 Irish Cheese Awards, where it took the title of Best New Cheese. Thanks for the cheese. Catch ya’s later. Read about what’s happening at the Farmhouse. Catch up on our latest news items and features of interest. 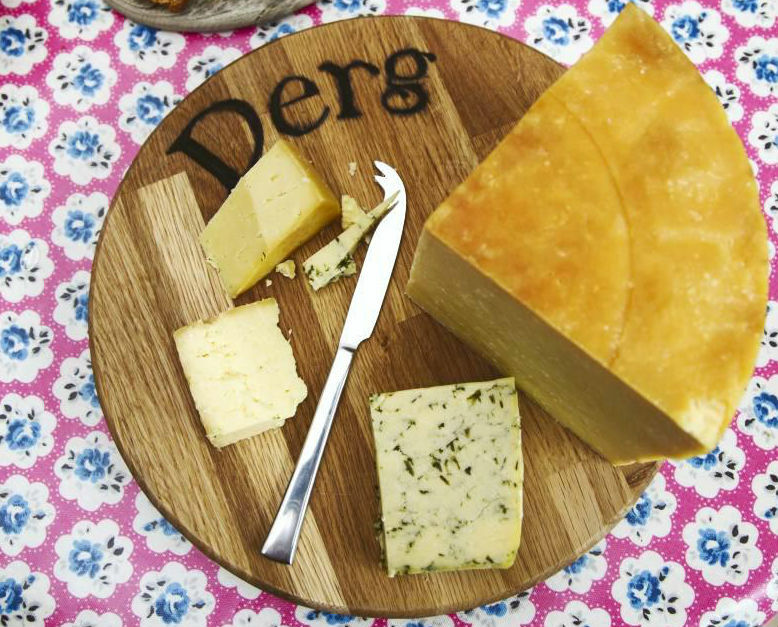 Derg Farmhouse Cheese were represented at the Kilkenny food festival, and were also at Cloughjordan Ecovillage. Derg Cheddar now in Chapter One! 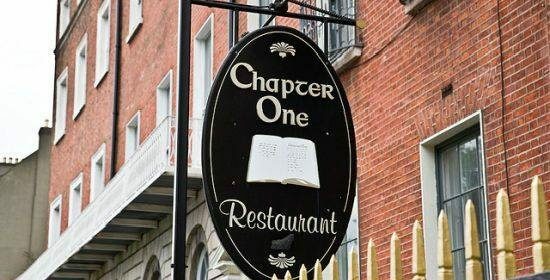 Thanks to John and the crew at Sheridans Cheesemongers our Derg Cheddar is now on the Menu at one of the most lauded restaurants in the country – Chapter One! Copyright © 2016 Derg Farmhouse Cheese.